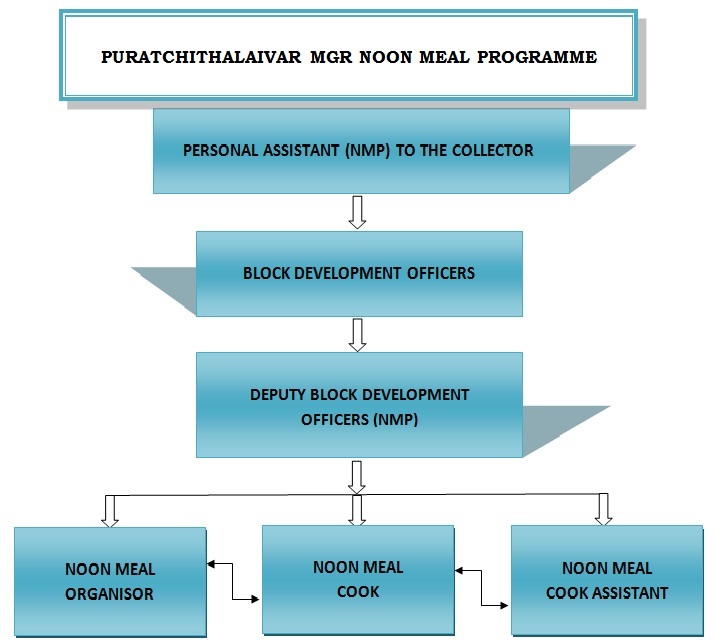 This scheme was introduced by the then Hon’ble Chief Minister Puratchi Thalaivar M.G.R. with effect from 01.07.1982 in Rural Areas and 15.09.1982 in Urban Areas. In addition to the menu, from 16.6.2004 to 14.7.2006 weekly one egg was given to the Noon Meal beneficiaries. From 15.7.2006 upto 14.7.2007 two eggs weekly twice was given to the children. Then from 15.7.2007 three eggs were given to the beneficiaries upto 16.09.2007. Now ie., from 17.09.2010 weekly 5 eggs are given to the beneficiaries..